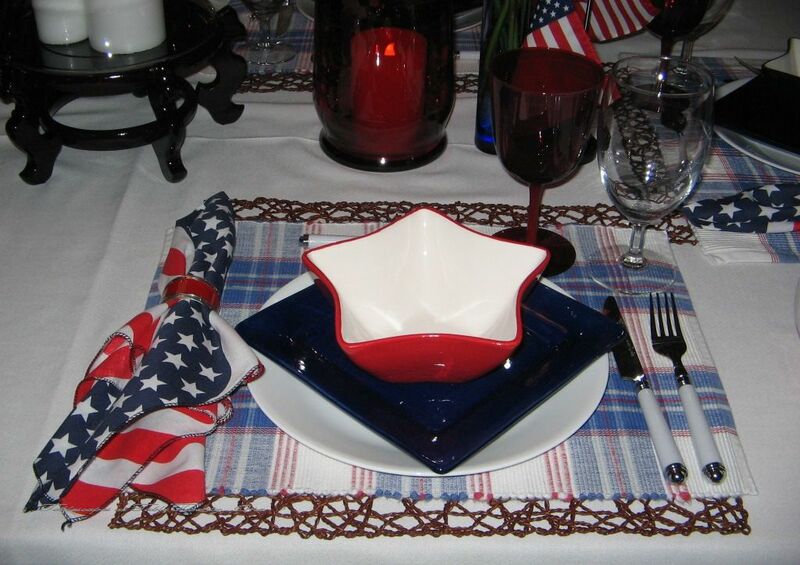 Believe it or not, I am not a huge fan of purely “thematic” tablescapes. Christmas may be the exception, although I work hard to mix it up there, too. To celebrate our 234th year as an independent nation, however, I couldn’t help but to get a little kitschy with an indoor picnic on this rainy, blustery day. What’s the 4th of July without a classic lattice-crust blueberry pie? 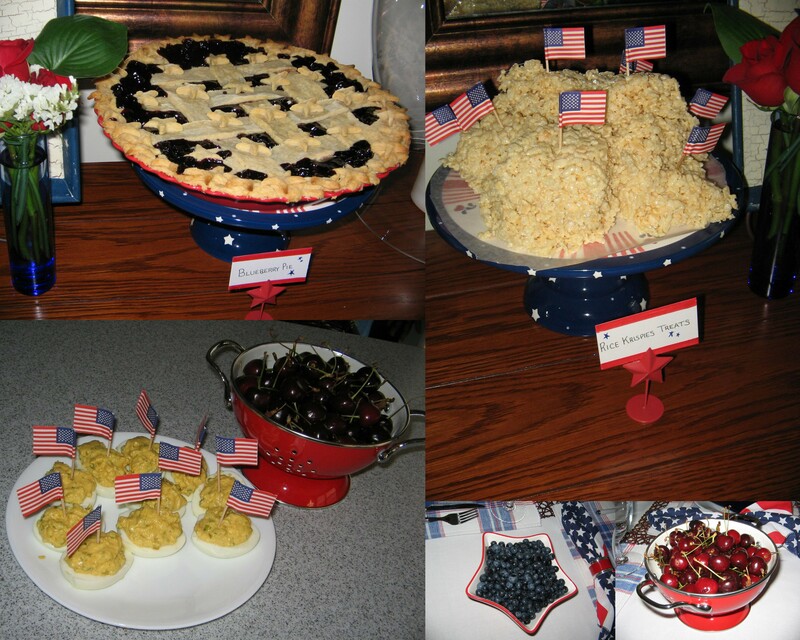 There were also lots of blueberries and fresh cherries for munching, as well as all-American deviled eggs and Rice Krispies treats for the young-at-heart! 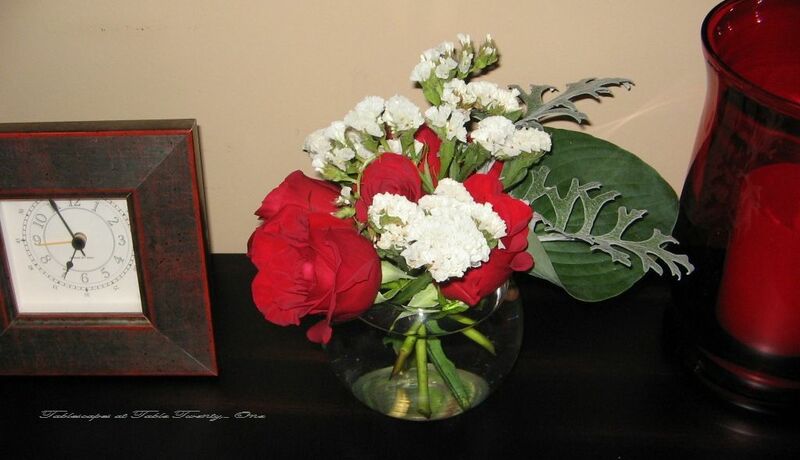 Thank goodness for a great sale on red roses (just $3.99 a dozen if you can believe that!!!). Mixed with flashy white statice, hosta leaves and a touch of dusty miller from my flower garden, they made really nice arrangements for the dining room tablescape, buffet and foyer. Hope you all enjoyed a safe and happy 4th!